Courtesy of Christina M O’Donnell, RE/MAX West End. 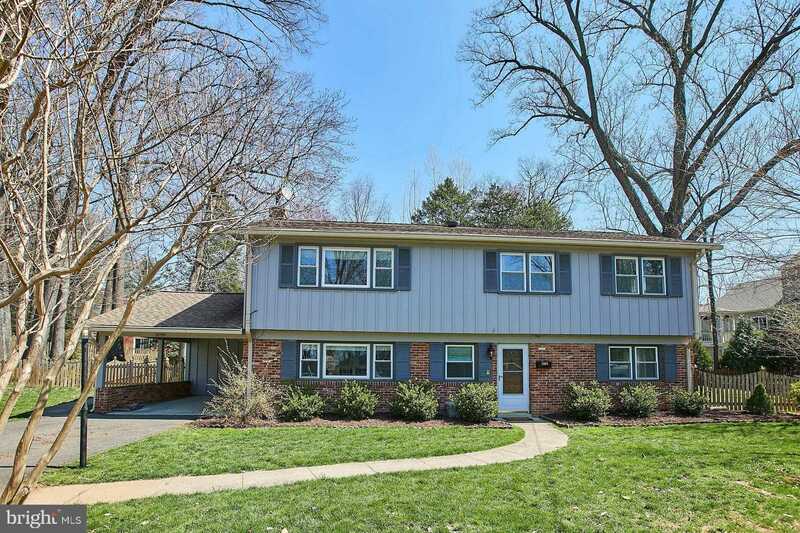 Spacious, Updated 4 BR 3BA Home on Quiet Cul-de-sac Inside the Beltway! Renovated, open kitchen features granite countertops, stainless steel appliances, breakfast bar, recessed lighting, and doors that open to expansive deck overlooking large yard! Open floor plan on main level with gleaming hardwood floors, 3 Bedrooms and 2 Full Baths. Lower level complete with spacious family room with fireplace, bedroom, full bath and utility laundry room Large, level lot in private setting. Swing set conveys. Carport with separate storage area. Conveniently located near 495, 66, Mosaic District, Tysons Corner, Fairfax Hospital and close proximity to both Dunn Loring & West Falls Church Metro.